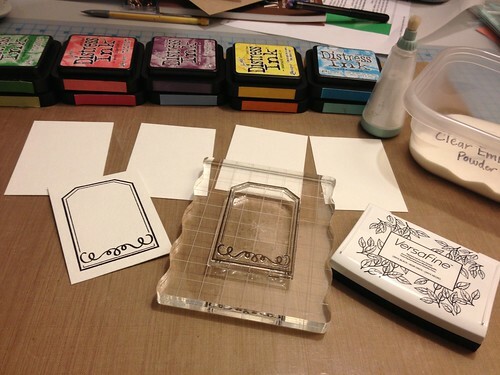 Hello, Chari here today and I have a very inky project to share. 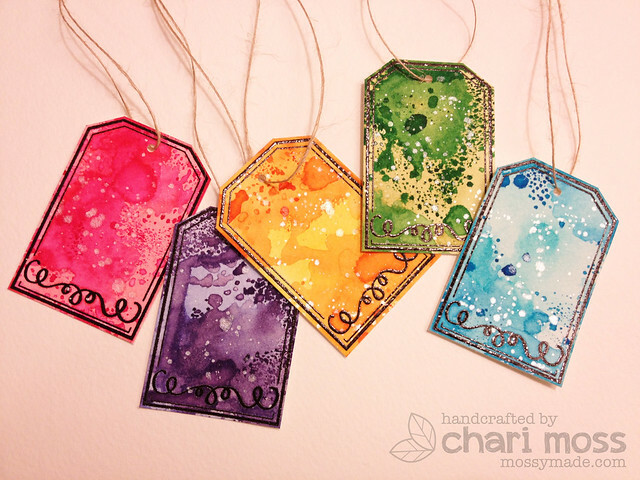 I played with Swirly Twirly Tags and a lot of distress ink and water to make some fun, colorful tags. I took a few pictures as I made these tags to show my process...First I heat embossed the tag stamp on watercolor paper with versafine black ink and clear embossing powder. 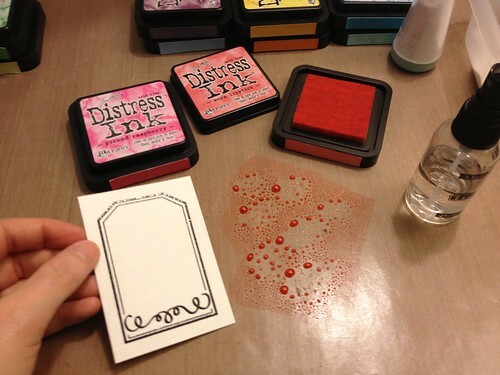 For each tag I used two colors of distress ink, a lighter and a darker color. I put some of the lighter ink on my craft sheet and sprayed with some water. Then I placed my paper face down into the watery ink and pressed it down to evenly distribute the ink on the paper. 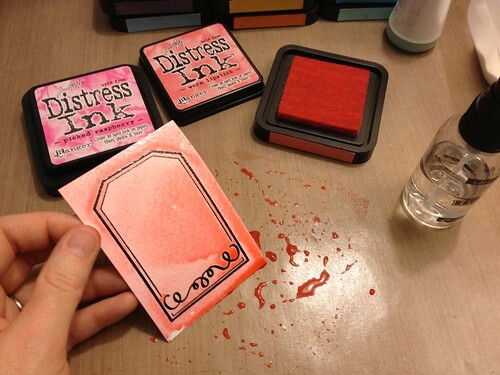 I used my heat tool to dry the ink before applying the darker color. For the darker color I didn't use as much water and I didn't press the paper into the ink as much so that it would be more splotchy. Oh cool!!!!!!! LOVE the way that looks on the tags!! So fun!!! Thank you for the mini tutorial! Great tags. Love how you did them. Oh Chari these tags are awesome! 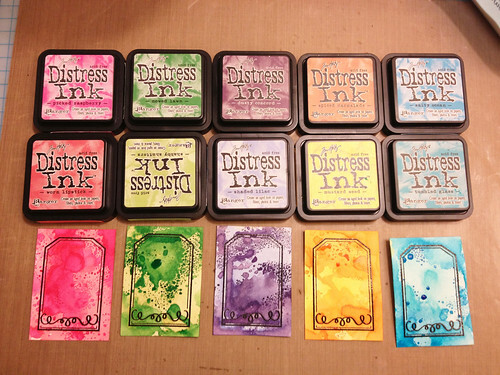 I have not played with my distress inks and water in awhile. This makes me want to get all messy and inked up!! I love how these turned out. They are the perfect size to tuck into mini albums and for gifts! Love them!